Please cast your vote for your new Board of Directors. The Members Only section of this website is reserved for the exclusive use of our ANSO Members. Please log in. Lost your password or want to change it? Request a password reset. Membership in ANSO entitles you access to exclusive content and opportunities for networking & information exchange with fellow members and mentors nationwide. 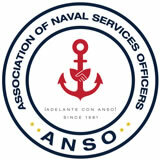 As part of ANSO's ongoing mission to promote and serve it's members in our country's naval services, we always want to improve. Your suggestions for how we can add value to our services is vital. How have you benefited from being a member of ANSO? Has your service career been jump-started with the unselfish help of an ANSO mentor? Have you mentored an ANSO member and have watched them grow and reach their potential? Share your story! Use this form to tell us your success story, or use the field below to upload a document.